The initial onslaught of the Germans’ Ardennes offensive, in December 1944, overran numerous US positions all along the front line, though the Germans simply bypassed other stubbornly defended locations so as to maintain their momentum. 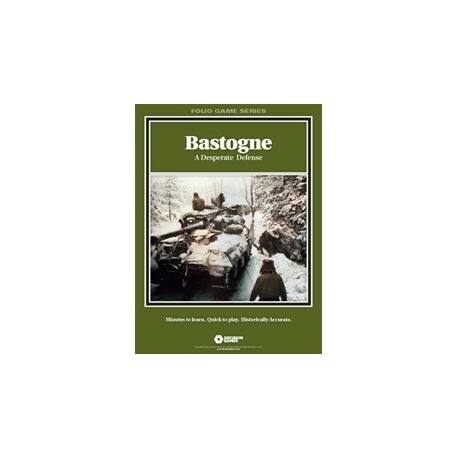 The small town of Bastogne, however, with its strategically critical road junctions, became the lynchpin of the entire campaign. The Germans soon realized Bastogne had to be captured; so they set out to assault the outnumbered and surrounded American units there. The desperate defense of Bastogne therefore came to typify the entire Battle of the Bulge. Bastogne utilizes the new Fire & Movement combat system that’s designed so players can augment their units with “support fire” during the course of the battle. From anti-tank units to mortars, units can receive support assets to engage enemy positions and formations, allowing combat to develop at all levels. A single recon battalion, for example — perhaps supported by artillery — could be tasked to assault a lone enemy battalion of paratroopers defending a hamlet. As that attack gets underway, the recon battalion may find itself under the guns of enemy artillery. So more support fire will be necessary to take the hamlet, but assets are limited. In Bastogne, the attritional design of the new Combat Results Table simulates the true nature of battles in Europe. 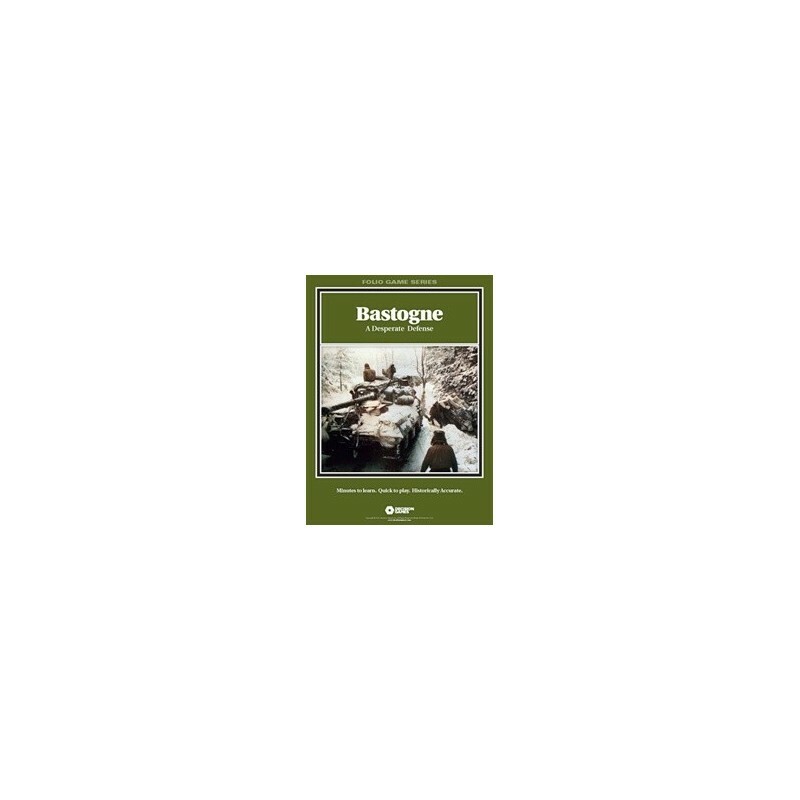 Units are typically two-sided formations that can incur casualties, accurately replicating the realities of combat and the high losses sustained by both sides during the actual fighting for Bastogne. Winning the battle is thus a matter of maneuver, firepower and asset management. Un bon wargame de la série Folio.